Louisville, KY (December 1, 2017) – Webster County Farm Bureau was honored as one of six recipients of Kentucky Farm Bureau (KFB) Educational Mini-Grant. All six recipients were recognized during KFB’s annual meeting in Louisville. Tammy White accepts an award of recognition on behalf of Webster County. Presenting the award is Vicki Bryant, chair of the Kentucky Farm Bureau state Women’s Committee. The Mini-Grant is a special project of the Kentucky Farm Bureau Women’s Program and administered through the Kentucky Farm Bureau Education Foundation. One-time grants of up to $500 are offered to county Farm Bureaus on a competitive basis to help fund projects that result in increased agricultural literacy. Priority is given to those programs demonstrating a need for financial support. Webster County Farm Bureau was recognized for hosting a cross-curricular study of careers and jobs and how they relate to both the agriculture industry and coal mining. All students, from kindergarten to sixth grade, attended this career fair. 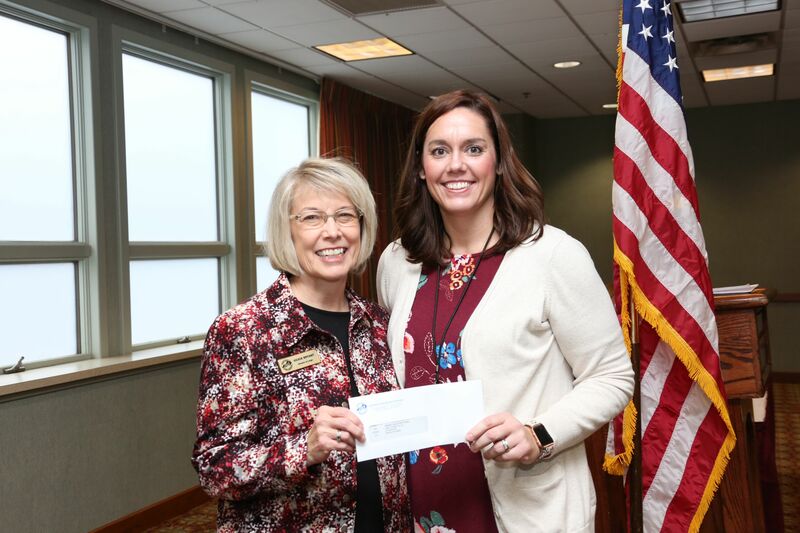 In addition to Webster County Farm Bureau’s award, Mini-Grants were also given to the Farm Bureaus in Boyle, Fayette, Lewis, Marion, and McCracken Counties.